You are at:Home»Media»Books»Happy Independent Bookstore Day! The second annual Independent Bookstore Day will be held on Saturday, April 30, 2016. Over 400 bookstores across the country to celebrate Independent Bookstore Day, the national event honoring independent bookstores. Independent bookstores are not just stores, they’re community centers and local anchors run by passionate readers. They are entire universes of ideas that contain the possibility of real serendipity. Visit your local independent bookstore today to find your favorite pet book. 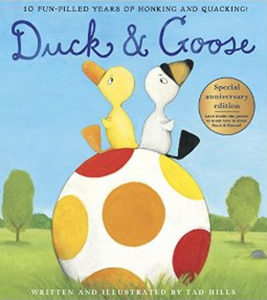 The New York Times bestselling Duck & Goose picture books are unforgettable children’s classics starring two beloved characters, and a must-have for any child’s home library. 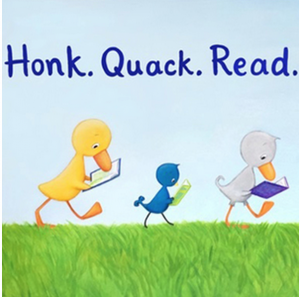 Don’t miss Duck and Goose in Tad Hills’s six board books, including What’s Up, Duck? and Duck & Goose Find a Pumpkin. For a full list visit, here. Also available is Duck & Goose, Limited edition print [$12.99]. This wonderful pro-reading, pro-friendship print was drawn especially for IBD by Tad Hills, the bestselling creator of the Duck & Goose books. All 400 giclée prints are signed and numbered.